Many people think that they have to travel very far away in order to see something new and beautiful, and yet they forget the fact that one of the most attractive destinations is located only a couple of hours of driving away from Belgrade – in Hungary. The city is full of history, culture and elegance which represents a perfect compound of two cities: Buda and Pest, into one that is called – Budapest. It is recommended that the sightseeing of this monumental city should begin with Váci Street, which represents the main pedestrian street and shopping zone, along which you will easily get to the famous Kossuth Lajos Square, where the Hungarian Parliament building is located, as one of the largest parliament buildings in Europe. Also, there is Andrassy Avenue, well-known for its name as “the avenue of culture”, since there are numerous landmarks located on its route. This Avenue leads us to the Heroes’ Square (Hősök tere), one of the main city squares, which together with the Avenue represents a part of the world’s cultural heritage. One of the attractions is also the Vajdahunyad Castle that actually represents a replica of the Romanian castles. The Danube riverbanks, on which Budapest is built, are connected by a large number of the bridges, and the most beautiful, famous and valuable is the Széchenyi Chain Bridge, which represents the first prominent crossing on the Danube river in Budapest, and which was also of a large significance for the union of Buda and Pest. After walking via Chain Bridge from Pest to Buda, there is a possibility of taking a drive with a cable car that can take you to the Royal Buda Castle and Fishermen’s Bastion, from which you can enjoy a breathtaking panoramic view on the Danube, bridges, Parliament Building and Pest. The Tower itself is interesting for its unique appearances and architecture. For another special Budapest enjoyment, it is inevitable to visit “the magic island” i.e. Margaret Island (Margitsziget), as well. It is located on the Danube, between Buda and Pest and it is 2.5 km long. The island is the most famous recreational zone in Budapest, with lots of parks, gardens and tourist attractions such as the music fountain and water tower, a little Japanese garden with a thermal fishpond, the zoo and exotic waterfalls. Besides rich history and culture, Budapest also possesses different kind of value in one of the most famous thermal spas, Szecheny, which nowadays represents a modern and healing complex, composed of 21 swimming pools and a wellness center. 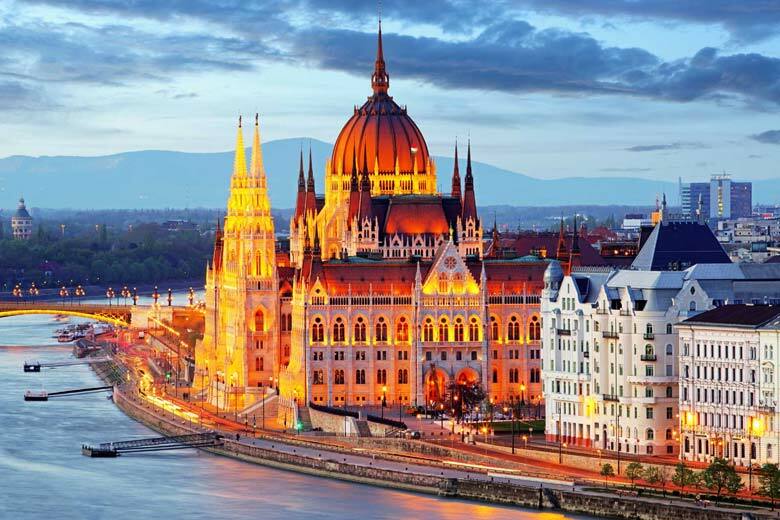 Therefore, indulge yourself and take the opportunity to, at least for a brief period of time, run away from the everyday life and enjoy the hospitality that can be provided only by the city such as Budapest itself.